In the spring of 1953, Sir Edmund Hillary and Sherpa Tenzing Norgay climbed to the summit of Mount Everest, the highest point in the world, forever cementing their mark in history. Also part of the expedition, which was lead by Sir John Hunt, were crucial timekeeping instruments for the explorers – Rolex Oyster Perpetual chronometers. To commemorate such an epic feat and to celebrate adventurers all over he world, Rolex launched a watch later that year dubbed the Explorer. 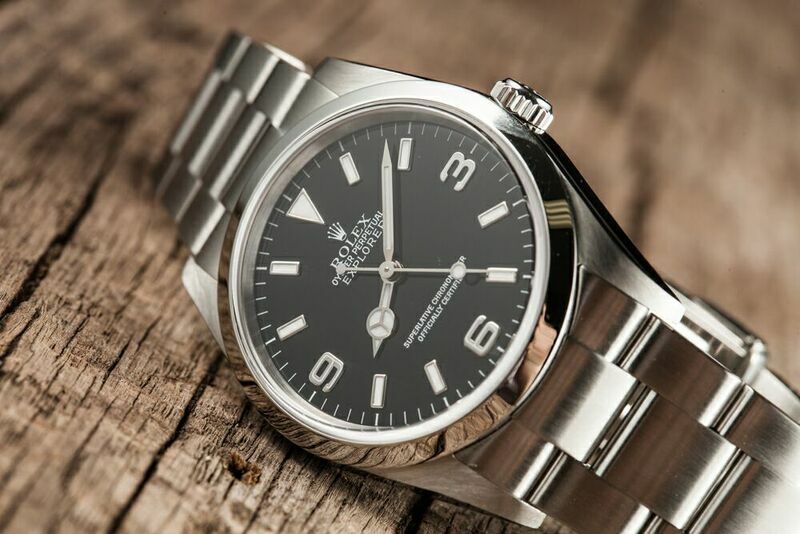 Stainless Steel Rolex Explorer 214270 has changed through the ages. Because Rolex Oyster Perpetual watches had been a part of Himalayan expeditions for two decades, the brand understood what was needed in a watch dedicated to exploration and ensured that the Explorer was built to be tough enough to endure extreme conditions. 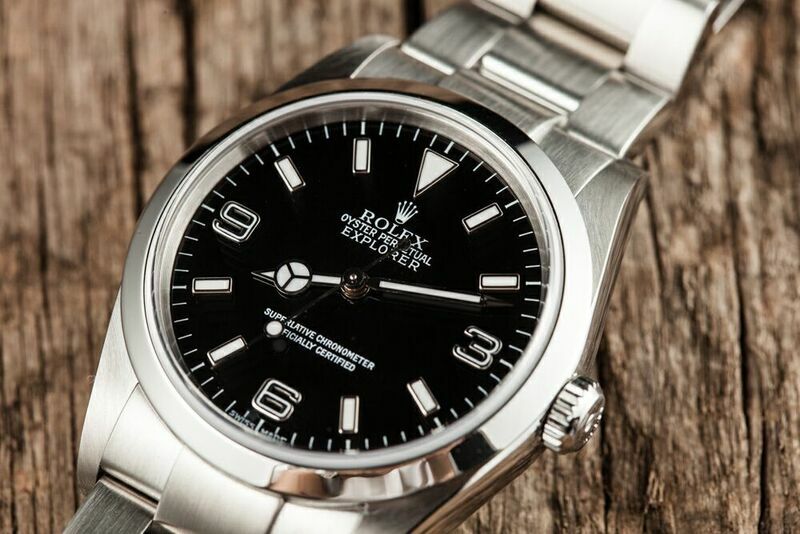 The new watch, one of the pioneers in the Rolex Professional watch series, was outfitted with a rugged all-steel bracelet on its 36mm case and a novel Twinlock winding crown equipped with a double waterproofness system. On the dial of the timepiece, the large 3, 6 and 9 Arabic numerals stood out among the other hour-markers, and this has become a characteristic design element of the Explorer. Today’s Explorer, ref. 214270, was unveiled in 2010 with some welcomed transformations over previous models in the collection. The size of the 904L stainless steel model was increased from 36mm to 39mm for a bolder look and improved readability. The highly legible black dial, protected by scratchproof sapphire, maintained the distinctive trio of Arabic numerals as oppossed to Roman numerals, however, it is now fortified with the new Chromalight display, offering wearers a blue luminescence that glows in the dark twice as long as past versions. The face of the Explorer is topped off with a smooth stainless steel bezel, adhering to the watch’s clean look. 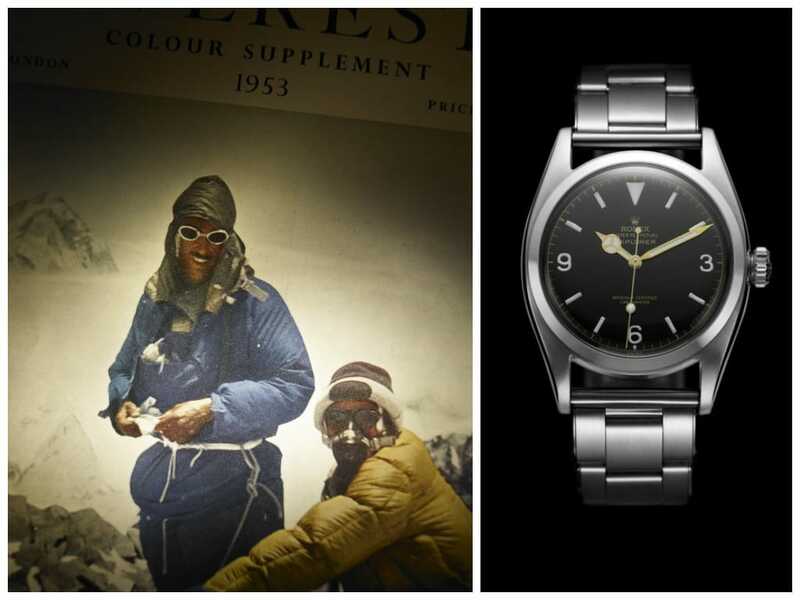 The Rolex Explorer started off on the right foot having Sir Edmund Hillary as their ambassador and summiting Mt. Everest. The matching 904L stainless steel three-piece links Oyster bracelet of the Explorer provides the wrist optimal comfort with its Easy-link extension system, permitting the wearer to extend the length by up to 5mm when needed. A particularly practical feature for adventurers, given that temperature and altitude changes, coupled with extraneous physical activity can cause a wrist to swell. The Explorer is made to take adventure to another level. Driving the ref. 214270 is the Rolex Caliber 3132, a perpetual, self-winding mechanical movement strengthened by the Parachrom hairspring and Paraflex shock absorbers for superior resistance to knocks and punishing environments. Under the “Explorer” label on the dial, we see the “Superlative Chronometer Officially Certified” notation, of course indicating that the watch has achieved both a COSC certification, in addition to undergoing rigorous in-house testing by Rolex. It was built to withstand the elements during ambitious journeys. 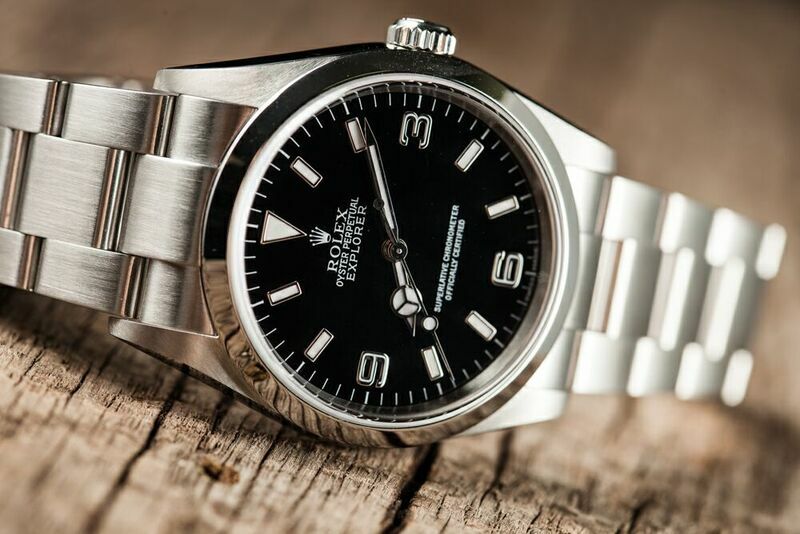 Rolex Explorer is simple, clean, and easy to read, its no wonder that those who seek adventure need one of these. 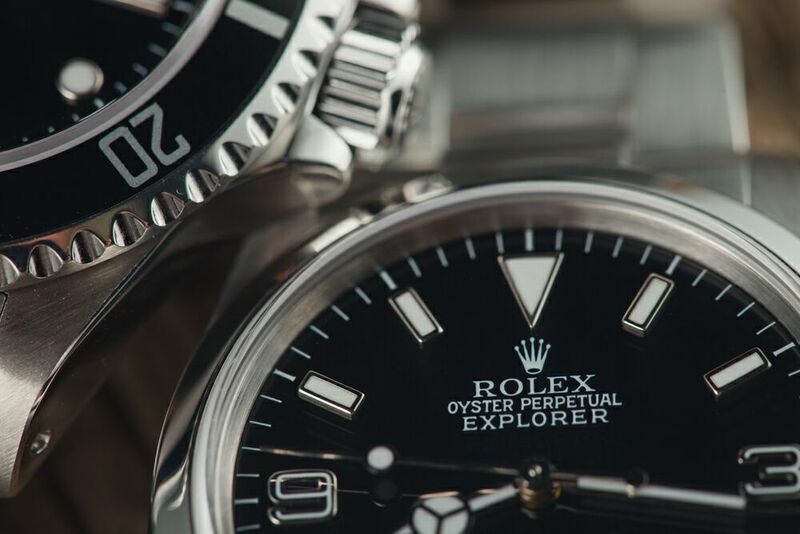 From its grand beginnings in 1953 until its present day iconic status, the Rolex Explorer went through several modifications over the years, including outer design tweaks and inner caliber changes, but it has always stayed true to its spirit of adventure.